This free printable unicorn mask is both a template and a coloring page. Any unicorn lover will be ecstatic for this fun craft. Let’s get started – click and get your free printable mask. You don’t really need much for this mask, friends. All the work has been done for you! 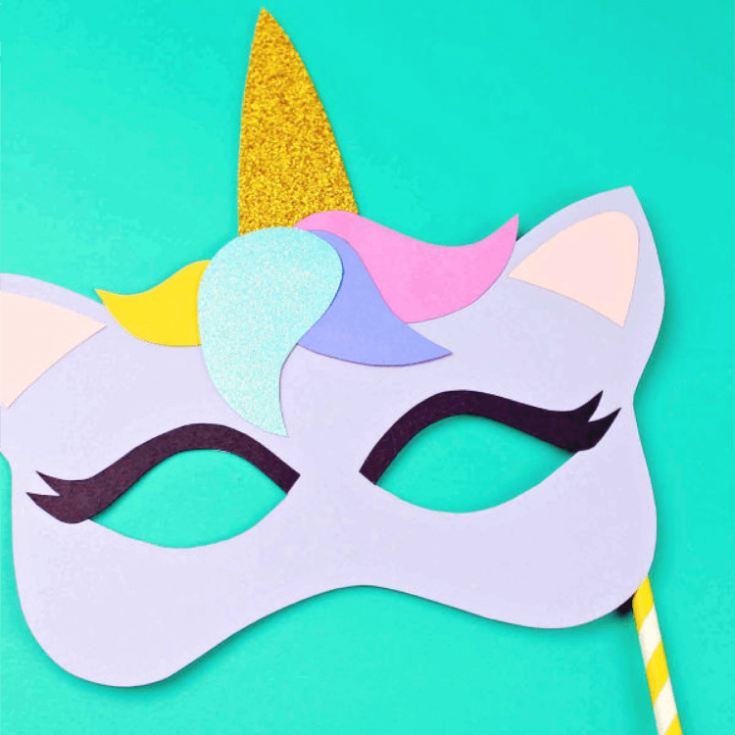 The unicorn mask is versatile – depending on the age of the kids, you can create a tie-on mask, a mask to be held (via a paper straw), or even a crown by using extra paper. Included in the printable download are two different crafts. The first is the unicorn mask coloring page. 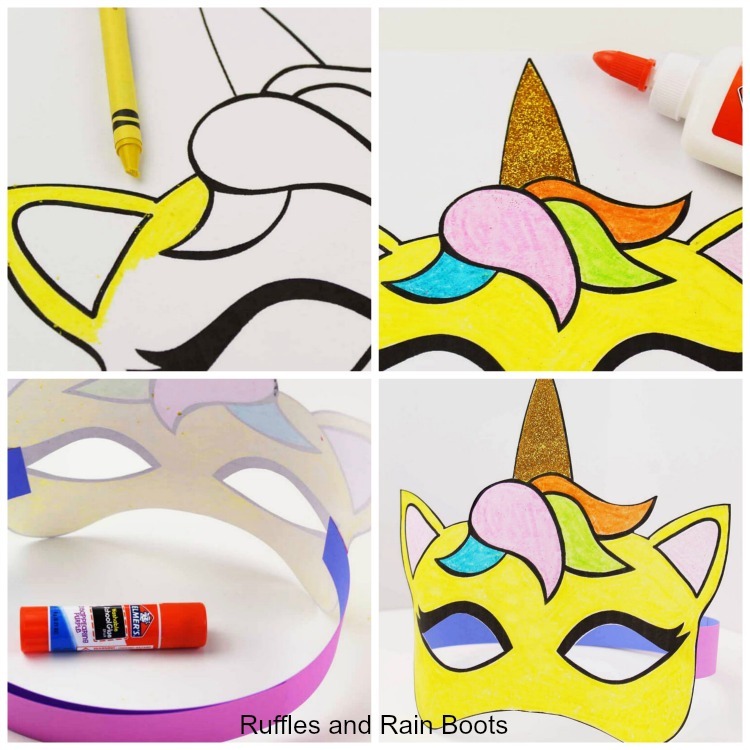 Let everyone color their very own unicorn mask! Print the template off on white cardstock and supply everyone with crayons, markers, or colored pencils. As noted above, it’s your choice on how to affix the unicorn mask. For the youngest kiddos, I recommend making a crown of extra cardstock paper. Older kids can benefit from the paper straw attached to the side (see image below). RELATED READING: Unicorn Ribbon Ring – A Unique Unicorn Craft! In addition to a coloring page, this unicorn mask printable can also be a template. If you have a unicorn party coming up, you can save money and print this template on colored cardstock. 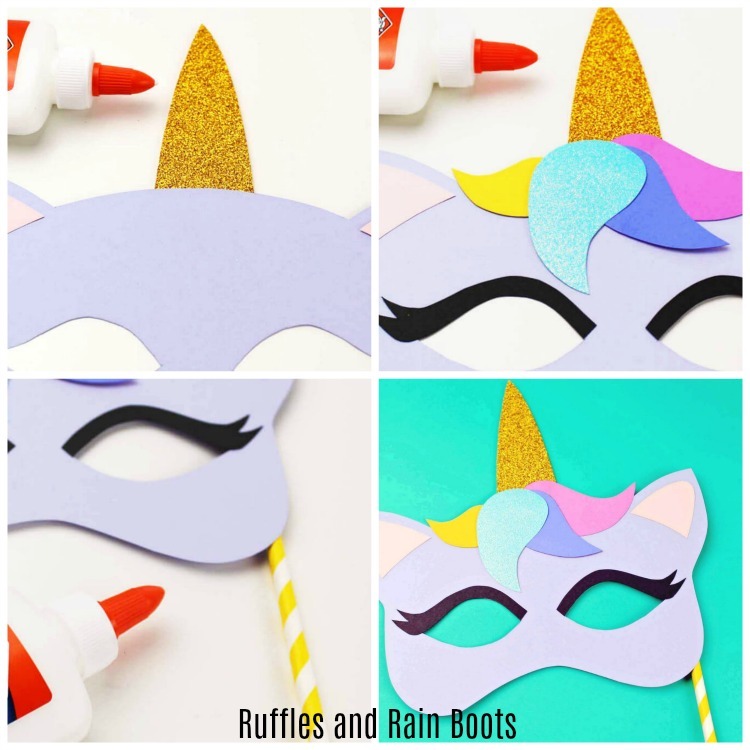 Yep, you can be the life of the party with this fun unicorn craft for kids! If you’d like to create a mask from colored cardstock, use the template pieces to cut out everything. Then, simply assemble the unicorn, cut out the eyes, attach the straw, and you’re done! 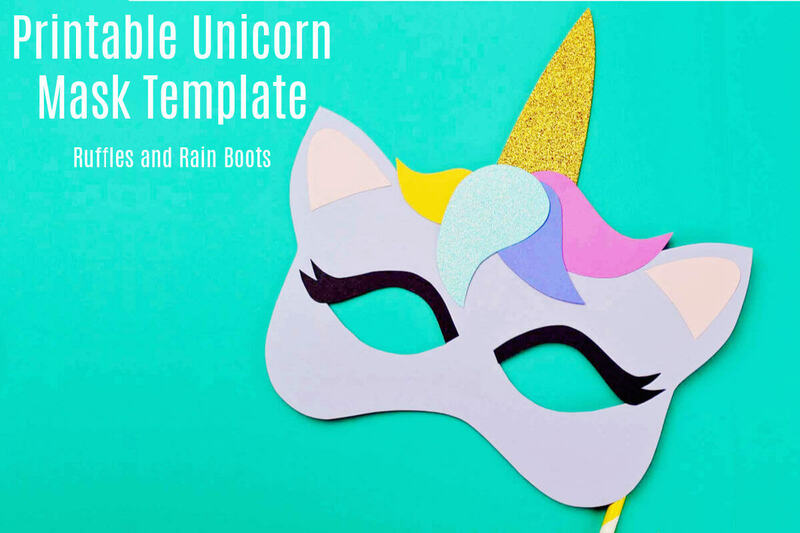 For both of the templates, download the unicorn mask set below. You will need to double-click to open the file. 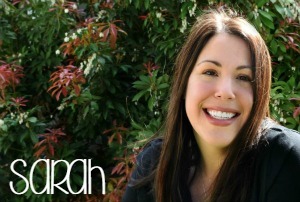 If you don’t have Adobe Acrobat Reader, download a free version and open. 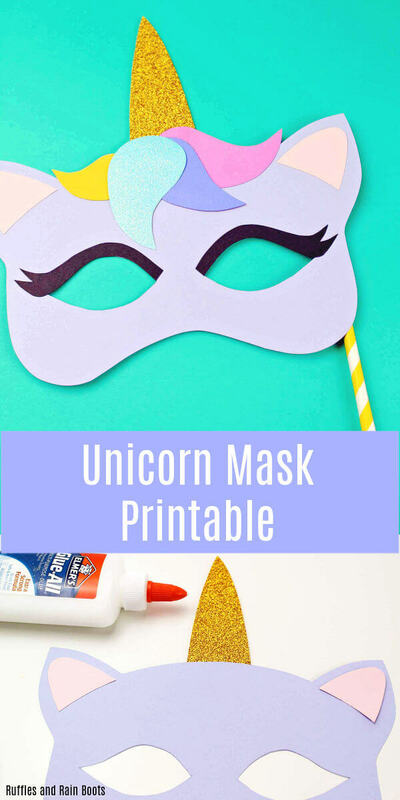 This printable unicorn mask is both a template and a coloring page. Any unicorn lover will be ecstatic for this fun craft. For the youngest kiddos, I recommend making a crown of extra cardstock paper. Older kids can benefit from the paper straw attached to the side. Your shares are how we grow and we are sincerely grateful for them. 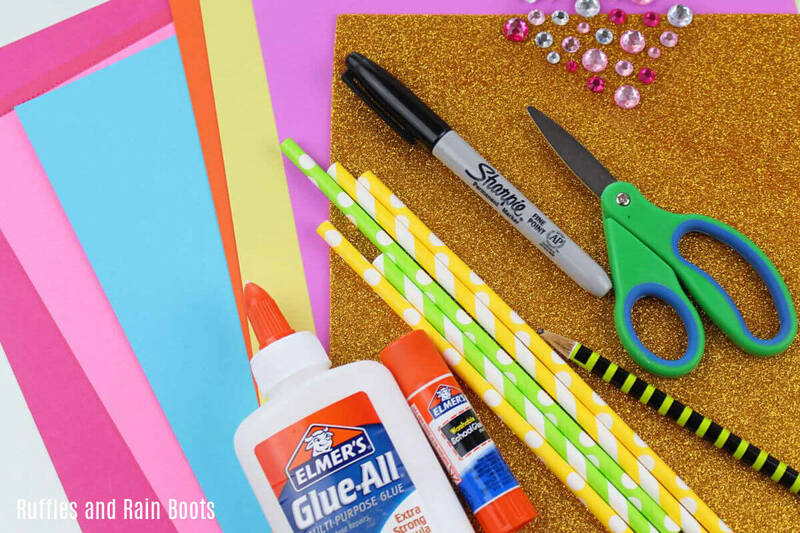 Follow Ruffles and Rain Boots on Pinterest – we share the most amazing crafts, recipes, and fun!